The chairman is the highest officer of an organized group such as a board, a committee, or a deliberative assembly. The person holding the office is typically elected or appointed by the members of the group, and the chairman presides over meetings of the assembled group and conducts its business in an orderly fashion. Portfolio.com was a website published by American City Business Journals that provideed news and information for small to mid-sized businesses (SMB). It was previously the website for the monthly business magazine Condé Nast Portfolio, published by Condé Nast from 2007 to 2009. Net worth is the value of all the non-financial and financial assets owned by an institutional unit or sector minus the value of all its outstanding liabilities. Net worth can apply to companies, individuals, governments or economic sectors such as the sector of financial corporations or to entire countries. Tyrone is an unincorporated community in southern Texas County, Missouri, United States. The community is located on Missouri Route H, approximately 1.5 miles west of Missouri Route 137. It consists of several houses. 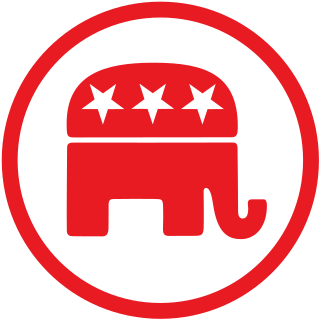 The Federal Power Commission (FPC) was an independent commission of the United States government, originally organized on June 23, 1930, with five members nominated by the president and confirmed by the Senate. The FPC was originally created in 1920 by the Federal Water Power Act, which provided for the licensing by the FPC of hydroelectric projects on the land or navigable water owned by the federal government. The FPC has since been replaced by the Federal Energy Regulatory Commission. Florida Gas Transmission is a natural gas pipeline which brings gas from Texas, Louisiana, Mississippi, and Alabama into Florida. The pipeline is owned 50% by Energy Transfer Partners (Owner/Operator) and 50% by Kinder Morgan Partnership each respectively representing units in Citrus Corporation (CitCor). Its FERC code is 34. 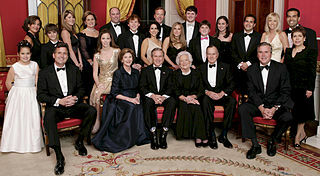 The Bush family is an American family that is prominent in the fields of politics, sports, entertainment, and business, founded by Obadiah Bush and Harriet Smith. Andrew Stuart "Andy" Fastow is a former financier and convicted felon who was the chief financial officer of Enron Corporation, an energy trading company based in Houston, Texas, until he was fired shortly before the company declared bankruptcy. Fastow was one of the key figures behind the complex web of off-balance-sheet special purpose entities used to conceal Enron's massive losses in their quarterly balance sheets. By unlawfully maintaining personal stakes in these ostensibly independent ghost-entities, he was able to defraud Enron out of tens of millions of dollars. The U.S. Securities and Exchange Commission subsequently opened an investigation into his and the company's conduct in 2001. Fastow served a six-year prison sentence for charges related to these acts. His wife, Lea Weingarten, also worked at Enron, where she was an assistant treasurer; she pleaded guilty to conspiracy to commit wire fraud, money laundering conspiracy and filing fraudulent income tax returns, and served jail time before early release to a halfway house. Donald Louis Evans is an American businessman. He was the 34th U.S. Secretary of Commerce. He was appointed by his longtime friend George W. Bush and sworn into office on January 20, 2001. On November 9, 2004, the White House announced that Evans intended to resign by the end of January 2005. Richard Alan Causey is one of the prominent figures in the Enron accounting scandal. Causey was Enron's Executive Vice President and Chief Accounting Officer. InterNorth Inc. was a large energy company headquartered at the Northern Natural Gas Building in Omaha, Nebraska, in the United States, specializing in natural gas pipelines but also a force in the plastics industry, coal and petroleum exploration and production. It was a predecessor to Enron Corporation. Jeffrey Keith Skilling is a convicted felon and former American businessman best known as the CEO of Enron Corporation during the Enron scandal. In 2006, he was convicted of federal felony charges relating to Enron's collapse and eventually sentenced to 24 years in prison. The Supreme Court of the United States heard arguments in the appeal of the case March 1, 2010. 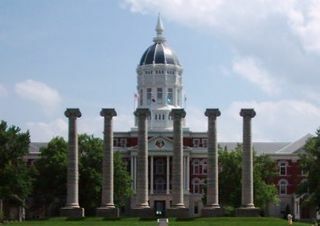 On June 24, 2010, the Supreme Court vacated part of Skilling's conviction and transferred the case back to the lower court for resentencing. Sherron Watkins is an American former Vice President of Corporate Development at the Enron Corporation. Watkins was called to testify before committees of the U.S. House of Representatives and Senate at the beginning of 2002, primarily about her warnings to Enron's then-CEO Kenneth Lay about accounting irregularities in the financial statements. The idiot defense is a satirical term for a legal strategy where a defendant claims innocence by virtue of having been ignorant of facts of which the defendant would normally be expected to be aware. Other terms used for this tactic include "dumb CEO defense", "dummy defense", "ostrich defense", "Ken Lay defense", and "Sergeant Schultz defense". Houston Natural Gas Company (HNG) was a gas utility headquartered in Houston, Texas. The company was acquired by InterNorth Inc. in 1985, with HNG executives taking top positions at InterNorth. Following the transaction, InterNorth was renamed Enron Corporation, and the company headquarters was moved from InterNorth's base in Omaha to the former HNG offices in Houston. 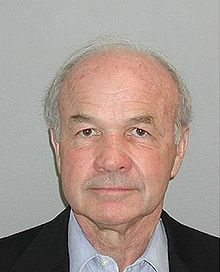 The company is notable for former CEO Kenneth Lay who became CEO of the newly formed Enron. Chesapeake Energy Corporation is a company engaged in hydrocarbon exploration. It is headquartered in Oklahoma City. The company is named after the founder's love for the Chesapeake Bay region. Enron: The Smartest Guys in the Room is a 2005 American documentary film based on the best-selling 2003 book of the same name by Fortune reporters Bethany McLean and Peter Elkind, a study of one of the largest business scandals in American history. McLean and Elkind are credited as writers of the film alongside the director, Alex Gibney. Jason Arthur Leopold is an American senior investigative reporter for BuzzFeed News. He was previously an investigative reporter for Al Jazeera America and Vice News. He worked at Truthout as a senior editor and reporter, a position he left after three years on February 19, 2008, to co-found the web-based political magazine The Public Record, Leopold's profile page on The Public Record now says he is Editor-at-Large. Leopold returned to Truthout as Deputy Managing Editor in October 2009 and was made lead investigative reporter in 2012. Robert L. Bradley Jr. is CEO and founder of the Institute for Energy Research, and the author of several books on energy economics. He is also an adjunct scholar of the Cato Institute and the Competitive Enterprise Institute in Washington, D.C.; a senior fellow at the Texas Public Policy Foundation in Austin, Texas; and a visiting fellow of the Institute of Economic Affairs in London. The trial of Kenneth Lay, former chairman and CEO of Enron, and Jeffrey Skilling, former CEO and COO, was presided over by federal district court Judge Sim Lake in 2006 in response to the Enron scandal. Simeon Timothy Lake III is an American judge and attorney who has served as a United States District Judge of the United States District Court for the Southern District of Texas since 1988. His notable trials include the trial of Enron Chairman Ken Lay and former Chief Executive Officer Jeff Skilling. Lou Lung Pai is a Chinese-American businessman and former Enron executive. He was CEO of Enron Energy Services from March 1997 until January 2001 and CEO of Enron Xcelerator, a venture capital division of Enron, from February 2001 until June 2001. He left Enron with over $280 million. Pai was the second-largest land owner in Colorado after he purchased the 77,500-acre (314 km2) Taylor Ranch for $23 million in 1999, though he sold the property in June 2004 for $60 million. Richard Kinder is an American billionaire businessman. He is the co-founder and executive chairman of Kinder Morgan Inc., an energy and pipeline corporation. Rebecca P. Mark-Jusbasche, known during her international business career as Rebecca Mark, is best known as the former head of Enron International, a subsidiary of Enron. She was also CEO of Azurix Corp., a publicly traded water services company originally developed by Enron International. Mark was promoted to Vice Chairman of Enron in 1998 and was a member of its board of directors. She resigned from Enron in August 2000. Oscar Sherman Wyatt, Jr. is an American businessman and self made millionaire. He was the founder of Coastal Corporation and a decorated bomber pilot in World War II. In 2007 the U.S. federal court in Manhattan tried him for illegally sending payments to Iraq under the Oil-for-Food Program. 1 2 "Ken Lay Biography and Political Campaign Contributions". Campaign Money. 1 2 "Follow the Enron Money". CBS News . January 12, 2012. 1 2 3 Stritof, Sheri. "Kenneth and Linda Phillips Lay Marriage Profile". About. Retrieved 17 October 2015. ↑ Crawford, Kristen (July 12, 2004). "Lay surrenders to authorities". CNN . 1 2 3 Pasha, Shaheen; Seid, Jessica (May 25, 2006). "Lay and Skilling's day of reckoning". CNN . 1 2 Mulligan, Thomas S.; Bustillo, Miguel (July 6, 2006). "Death Puts Lay Conviction in Doubt". Los Angeles Times . ↑ Fowler, Tom (October 17, 2006). "Judge vacates conviction of Ken Lay". Associated Press. ↑ United States v. Lay, Criminal Action No. H-04-0025, 456 F.Supp.2d 869 (S.D. Tex. 2006), at . ↑ Bratton, William W. (May 2002). "Does Corporate Law Protect the Interests of Shareholders and Other Stakeholders? : Enron and the Dark Side of Shareholder Value". Tulane Law Review (PDF). New Orleans: Tulane University Law School (1275): 61. SSRN 301475 . 1 2 Morrison, Mark (July 4, 2006). "Ken Lay's Dark, Ironic Legacy". Bloomberg News . ↑ "Portfolio's Worst American CEOs of All Time". CNBC . 30 April 2009. ↑ Wayne, Leslie (January 13, 2002). "ENRON'S COLLAPSE; Before Debacle, Enron Insiders Cashed In". The New York Times . (Subscription required (help)). ↑ Ackman, Dan (February 2, 2002). "Lay Lays an Egg". Forbes . ↑ Johnson, Carrie (June 10, 2006). "A Woman of Conviction". The Washington Post . ↑ MULLIGAN, THOMAS S.; BROOKS, NANCY RIVERA (June 18, 2002). "Enron Paid Senior Execs Millions". Los Angeles Times . ↑ Pasha, Shaheen (September 7, 2006). "U.S., Lay estate ink $12M pension settlement". CNN . ↑ Handbook of Texas Online. Retrieved 2010-03-02. 1 2 3 4 5 6 "Biography: Ken Lay". biography.com. Archived from the original on 2010-07-15. 1 2 3 4 5 6 7 8 "Dr. Kenneth Lee Lay Obituary". Houston Chronicle . July 7, 2006. 1 2 3 4 5 "Ken Lay". NNDB . Retrieved January 6, 2018. ↑ "Substitute the name "ExxonCompany, U.S.A." for the name "Humble Oil and Refining Company"" (PDF). Nuclear Regulatory Commission . December 20, 1972. Retrieved January 6, 2018. ↑ Graham, Judith (February 1, 2002). "Pipeline retirees in Omaha hurt by Enron collapse: Former subsidiary once was the pride of Nebraska city". Chicago Tribune . ↑ "Belco Oil & Gas Corp. History". fundinguniverse.com. Retrieved January 6, 2018. ↑ Sorkin, Andrew Ross (July 30, 2002). "Berkshire to Buy a Gas Pipeline From Dynegy". The New York Times . (Subscription required (help)). ↑ Roger Stone; Saint John Hunt (2016). "5: JEB Goes to Venezuela". JEB! and the Bush Crime Family: the Inside Story of an American Crime Dynasty. Skyhorse Publishing. ISBN 978-1510706798. ↑ "Commentary: Ken Lay's Audacious Ignorance". Bloomberg News . February 5, 2006. ↑ Bajaj, Vikas; Eichenwald, Kurt (July 6, 2006). "Kenneth L. Lay, 64, Enron Founder and Symbol of Corporate Excess, Dies". The New York Times . (Subscription required (help)). ↑ Cameron, Sue (July 5, 2006). "Obituary: Ken Lay". Financial Times . ↑ Peters, Jeremy W.; Romero, Simon (July 5, 2006). "Enron Founder Dies Before Sentencing". The New York Times . (Subscription required (help)). ↑ Pasha, Shaheen (July 5, 2006). "Enron founder Ken Lay dies". CNN . ↑ Moreno, Sylvia (July 13, 2006). "Lay Is Remembered As a 'Straight Arrow'". The Washington Post . ↑ "Lay victim of `lynching,' speaker at service says". Chicago Tribune. Bloomberg News. July 13, 2006. ↑ Tolson, Mike (July 13, 2006). "Lay praised by family and friends". Houston Chronicle . ↑ Murphy, Kate (October 17, 2006). "Judge Throws Out Kenneth Lay's Conviction". The New York Times . (Subscription required (help)). ↑ Engber, Daniel (July 6, 2006). "Can't the Feds Get Lay's Money?". Slate . ↑ "Lay's Estate And DOJ Prepare For Battle". Law360 . August 17, 2006. (Subscription required (help)). ↑ "Lawyers Seek to Throw Out Lay Conviction". The New York Times. Bloomberg News. August 17, 2006. (Subscription required (help)).